Nerve Pain Away Review: Does It Work? Or is it All Marketing Hype? Note: We do not recommend Nerve Pain Away due to the products mixed results according to customer reviews and the difficulty getting a refund when it does not work. Nerve Pain Away is intended to be a natural product meant to provide temporary relief from nerve pain, numbness, tingling, and burning. They promise relief from pain, a relaxant for nerve issues, relief from nerve tingling, even some antiseptic benefits when applied to the skin. But does the product actually work? Or are the TV commercials promising relief nothing but empty promises? Nerve Pain Away is marketed as a nerve pain supplement promising to be fast-acting, made from all-natural plant extracts. It’s sold as “safe for use with prescription drugs” and as helping to relieve numbness, burning, and tingling in the feet and hands. 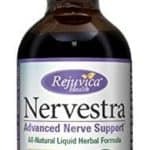 Made in the U.S., this product is considered a “homeopathic topical remedy.” Nerve Pain Away is sold through a dedicated online website that clearly states that the product is not available in stores. Nerve Pain Away is marketed by a company in North Wales, Pennsylvania (Philadelphia area). Plymouth Direct specializes in finding and developing new products for Internet and retail distribution. The company has also marketed Spray Perfect, Mighty Fixit, Smart Mop, Tag Away, and many other products. The company may be contacted at 1-800-340-3418 or Customerservice@plymouthdirect.com. Hypericum Perforatum is of the plant family Hypericaceae but goes by the common name John’s Wort. This perennial plant produces flowers beginning in May and continuing through August. Bergamot, also known as bergamot orange or citrus bergamia, can produce extracts to provide a pleasing scent in cosmetics, food, and perfumes. Lavender is part of a genus of many flowering plants of the mint family and is often included in garden and landscape plans for its color and general appearance. Tea tree oil, or melaleuca, is widely known for antiseptic properties and in treatment of minor wounds. Hypericum Perforatum – The herb and the fruit of the plant can be used to make a tea substitute. The formula also contains bergamot, lavender, and tea tree oils. St. John’s Wort has been used for centuries as an analgesic, nervine, and antiseptic and for many other conditions. Tea or tincture was often used to treat wounds that affect nerve tissue, burns, and skin ulcers. Bergamot – can produce extracts to provide a pleasing scent in cosmetics, food, and perfumes. Lavender – One of the primary uses is in the production of an essential oil valued for antiseptic and anti-inflammatory characteristics. It’s often used as a natural repellent against mosquitoes. Tea tree oil – It can be used to treat skin issues topically and often shows up in shampoo, skin creams, and face wash, to mention just a few products. Tea tree oil is found in many homes as an essential oil, a natural antiseptic and anti-inflammatory. The list of benefits promised from using Nerve Pain Away includes the individual uses of the various ingredients and the major benefit from St. John’s Wort. Some of the issues with the product are associated with the side effects and after-effects of the various ingredients. Individuals have mentioned that it’s necessary to wash their hands after each use because it can cause an uncomfortable feeling in the eyes, perhaps in the mouth. Others have been disappointed because the pain and tingling don’t disappear for long periods of time. However, it’s important to consider the marketing information that emphasizes “temporary” relief. In connection with this temporary relief, users should consult with a medical professional if tingling and nerve pain continue over a long period of time as this may be an indication of diabetes. Monitoring the blood sugar level is essential and Nerve Pain Away is not manufactured to address this serious condition. One review also notes that some of the ingredients can have harmful side effects in larger amounts, though the product only contains “very small, very diluted amounts.” It’s strongly suggested this product not be used instead of proven, traditional care or getting the advice of a healthcare professional. This advice also urges making sure that your doctor or care provider knows that you are using a topical pain-relief product. There is information about Nerve Pain Away using the word “like,” which balances this cautionary data. It is 100% natural, derived from plants, and does offer “therapeutic relief,” especially from St. John’s Wort. As a topical remedy in limited use, the product doesn’t present harmful side effects. It can also be used in combination with prescription drugs and over-the-counter remedies, though it’s wise to consult with your pharmacist or doctor first. Temporary relief from nerve pain and tingling allows individuals to be more active, delivering them from periods of inactivity caused by discomfort. It’s possible to begin walking, gardening, and exercising again with recommended use. Using the contents of the spray bottles according to directions doesn’t present any significant problems. 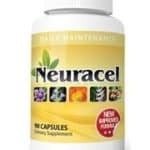 A visit to the Nerve Pain Away website shows you immediately that you get a 100% money-back guarantee. You also benefit from free shipping when you order; however, the “money-back guarantee” applies for 30 days and doesn’t include processing and handling fees. As with many online products, you can double your order by paying the shipping and handling charge for the second bottle. The advertised cost is $19.99. At this time, the product is available online. Order from the dedicated website where the offer includes two spray bottles for $19.99, plus shipping and handling for the second bottle. Each standard-size bottle contains 0.5 fluid ounce of liquid. You can also order the deluxe bottle, which contains 60% more. It’s also available on sites such as Amazon, Harriet Carter, and Carol Wright. But when you begin shopping, pay close attention to what you get, the bottle size, and how much you’ll be paying. First of all, the company is very good at marketing products on TV. They are not medical professionals or have doctors specializing in nerve pain on staff. This was an immediate warning sign for me. Second, the ingredients in the product are only designed to provide temporary relief. 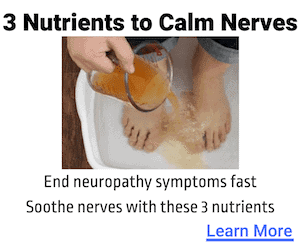 In other words, they do next to nothing to actually help the underlying causes of nerve pain. So if you try it, don’t expect long-term relief unless you combine Nerve Pain Away with treatment by a healthcare provider. It won’t “cure” your pain and tingling on its own. Lastly, you must constantly apply it to get relief. The problem is, it’s possible that overuse might produce stomach discomfort, allergic reaction, sweating, headache, hypertension, and possibly sensitivity to sunlight (as an effect of the ingredient bergamot). So that means, the more you use it, the higher the risk of side effects. 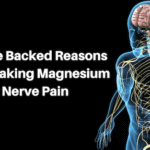 For all of these reasons, I cannot recommend Nerve Pain Away. 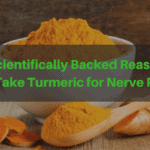 My recommendation is try Nerve Renew instead of Nerve Pain Away, because the ingredients are scientifically backed to actually improve the underlying cause of nerve pain. Plus, the product comes with a 365 day money back guarantee, so you can try it for as long as necessary to see if it provides the relief you're looking for. It’s important to understand that Nerve Renew works internally as opposed to many topical products providing temporary relief. 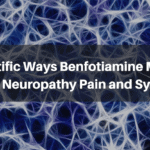 One of the key differences is that many nerve supplements use thiamine, a common form of B1, while Nerve Renew uses benfotiamine, a vitamin B1 form that’s delivered to the cells where it can have the best healing effect on the nerves. You’ll find the best price online here at the official Neuropathy Treatment Group website.